Going on a short haul flight has never been more luxurious when aboard the Citation XLS. This aircraft has all the facilities you’ll need to have a comfortable and refined flying experience. Upon hopping on board the standard Citation XLS plane, you’ll find its cockpit on the left side and galley on the right. The galley is complete with the small appliances needed to prepare your meals and refreshments. These include a coffee maker with espresso machine, microwave oven and a chiller. Cutlery and other necessary materials are also useful in preparing your in-flight snacks. Each passenger seat also has a lengthy legroom so you can feel free to stretch your feet out. Lighting may be individually adjusted, plus a recline function will be useful for travelers to even feel more comfy while flying. Know more about the specifications of the Citation XLS, and be sure to schedule for your very own flight aboard the plane today. Most standard and updated Citation XLS planes have WiFi connection in their cabins. By having internet access while in flight, you’ll get the chance to stay in touch with friends, family and business partners. If you’re going on a business trip, you can stay connected with your team mates and be ready for a conference call while flying. You can also answer your emails, update cloud based documents and prepare presentation pieces, so you’ll be negotiation-ready on your arrival. 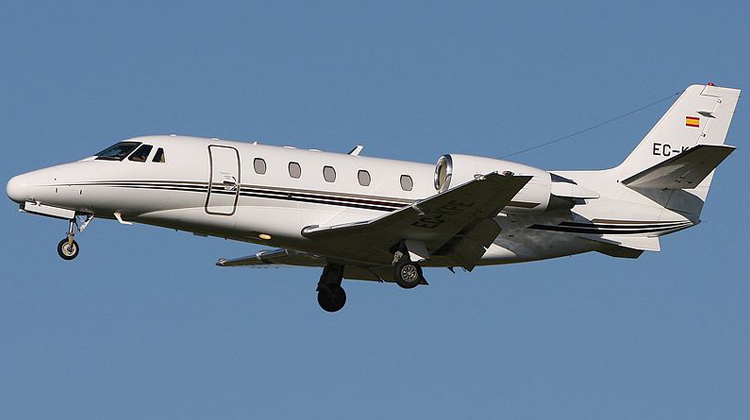 If you’re traveling for leisure purposes, then the Citation XLS’s WiFi connection would yet be another enjoyable feature to have. Access your Netflix account or watch streaming videos to have an even more enjoyable flight. To make the most of your upcoming trip, it’s always best to confirm your plane’s facilities from the operator. There’s a lot of enjoyment and luxury you can experience on the Citation XLS. It then wouldn’t be a wonder if you’ll feel your trip was cut short when the pilot prompts everyone to get ready for a landing. 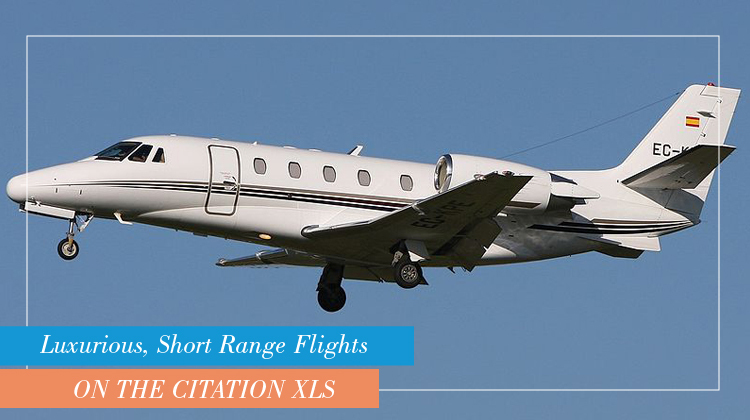 Among medium and even small sized jets, the Citation XLS has quite a competitive speed and overall performance for short ranged types of flights. If you’re coming from Toronto, Canada, the Citation XLS lets you reach as far as British Columbia or even Honduras. Should you max out the plane’s flying range, it would be advisable to ask about its allowable cargo and passenger load from the operator. These details should further ensure the safety and efficiency of your trip. Keep in mind, a much lighter aircraft also lets you reach farther distances at the fastest possible pace. Manufactured by the All-American company Cessna, the Citation XLS was introduced in 2006. As an improvement of the Citation XL, this aircraft was developed with much quieter air conditioning systems and smoother brakes towards landing efficiency.